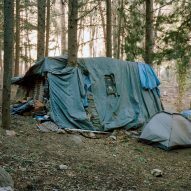 Photographer Ben Murphy has spent the last decade documenting the temporary dwellings created by multi-cultural nomads living in rural southeast Spain. 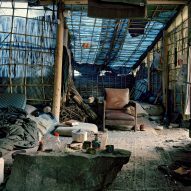 His series called The Riverbed reveals the variety of homes created by these counter-cultural communities, ranging from customised vans and trucks, to tents and timber-framed structures. For instance, one shot shows a shelter with straw bales for walls and a canopy roof, but also a typical front door. Another shows a vehicle containing a stove and other domestic furnishings. "Distinct tribal identities exist here in hard-to-find places; along the banks of an infertile riverbed, in ravines and off mountain passes, in relative proximity to each other and in continual states of flux," said Murphy, who is based in London. "People who reject and subvert the conventions of a structured society – from Europe, North and South America, Japan and elsewhere – gravitate to this area, making their temporal imprint on the land and local culture." According to Murphy, the various tribes have their roots in many marginalised subcultural groups, from punks and hippies, to new-age travellers and anarchists. But they have all migrated by choice to one remote mountainous region, rather than choosing to settle in towns or cities. He believes there is a lot to learn from people who position themselves on the fringes of society, and particularly from the environments they create for themselves. "The intention of the work is to reflect on contemporary counter-cultural identities through dwelling space," said Murphy. 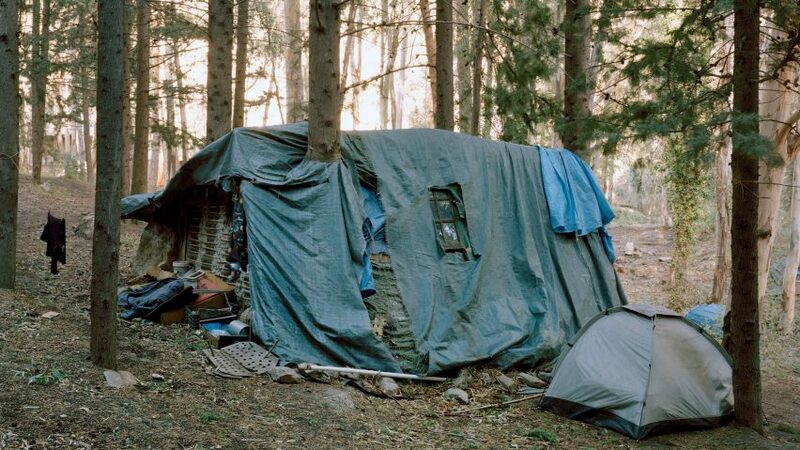 "The work aims to consider values and expectations of home, society and notions of freedom, while drawing out some of the inevitable paradoxes, compromises and entanglements inherent in rejecting the dominant system." Murphy will present The Riverbed in an exhibition at the Architectural Association gallery in London this spring. An exhibition of 21 analogue prints will be on show from 18 to 31 March and from 19 April to 27 May 2017.